Discussion in 'Star Wars: Books & Comics + Legends' started by SWNN Probe, Oct 25, 2018. Couldn't help but think of a recent episode from our very own Resistance Broadcast about Vader's tendency to make dramatic entrances (great episode by the way, right here). His arrival at Accresker Jail is no exception. Vader's in Vader form, slashing that lightsaber to take down any prisoner's hopes that they'd be getting off the doomed flotilla as it hurtles toward a planet with known Rebellion sympathies. 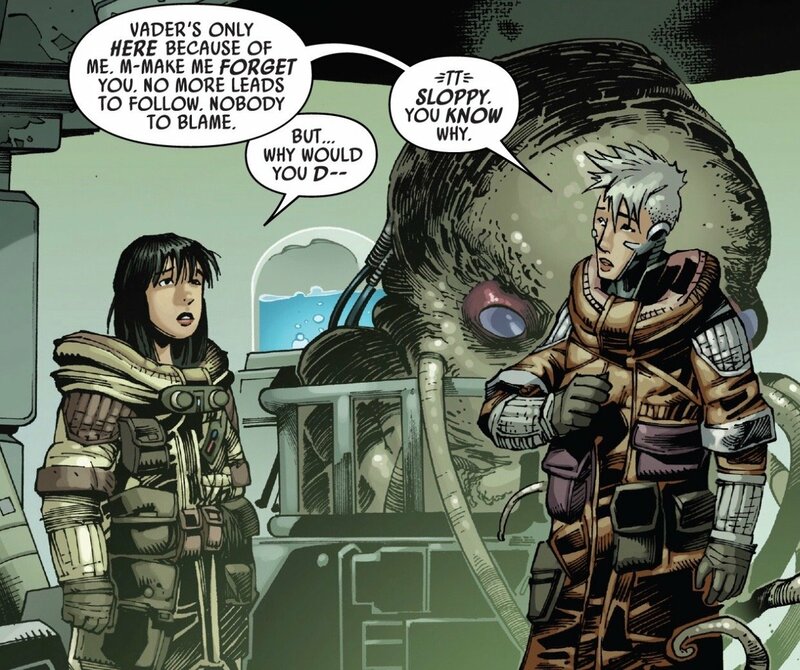 We know Vader is at peak fury when his family is involved and being that Aphra is someone who threatens his idealized partnership with Luke, he's coming out swinging for sure. Oh, and he KILLS BeeTee. One psycho droid down, one to go. Never thought I'd say this, but thank you, Lord Vader. 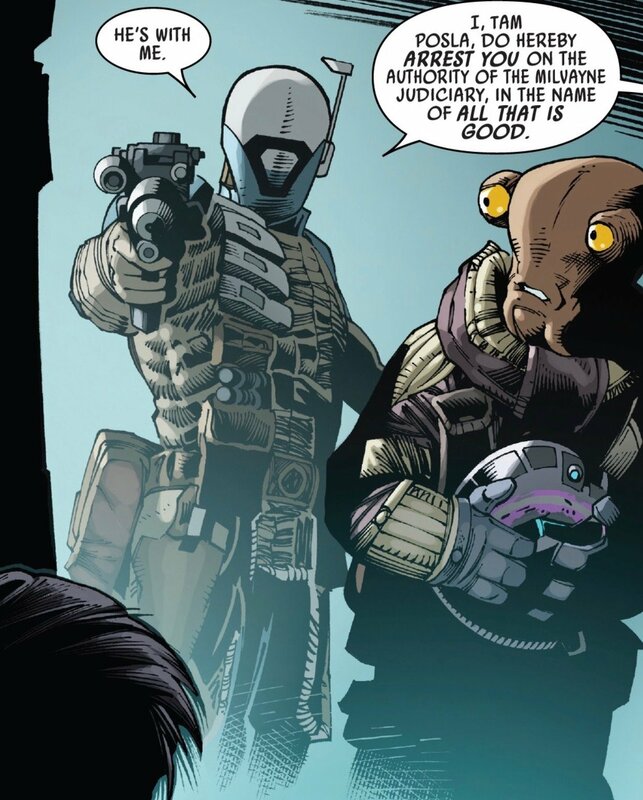 Tolvan's come clean and let Aphra know she's the one that led Vader to Accresker Jail. 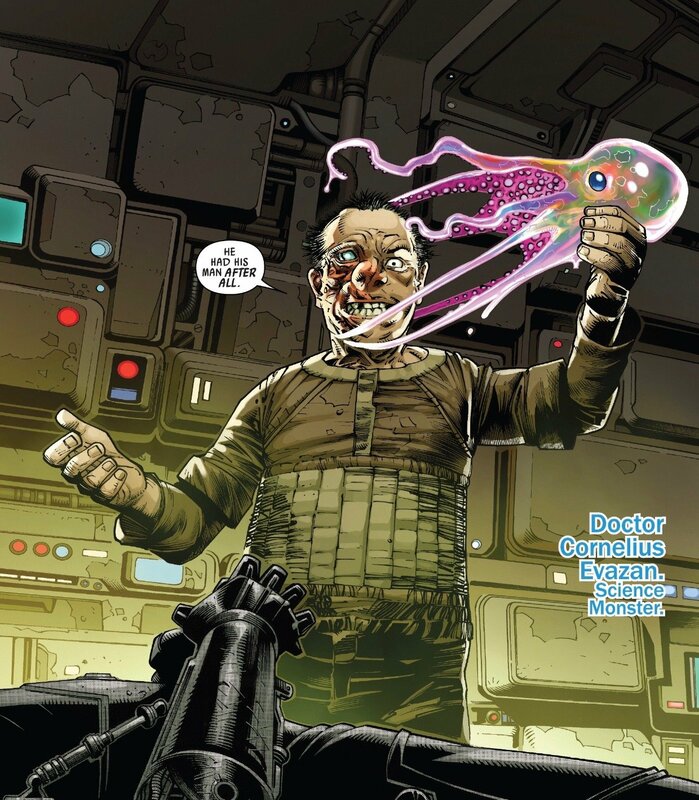 Tolvan also has a plan of her own to protect Aphra – she's going to let Bor Ifriem alter her memory instead of the drastic action Aphra proposed last issue of wiping her own mind. Aphra seems devastated that Tolvan betrayed her, but it was after Aphra had broken her heart. Tolvan finally says 'I love you' to the doctor and they decide to give the plan a try. Vader finds Tolvan and wastes no time getting into a typical Vader interrogation. As he jostles his Imperial underling about with the Force, Aphra watches on. They decided that instead of erasing Tolvan's mind they would reprogram it. Aphra has reprogrammed Tolvan's mind to believe she murdered Aphra herself out of misguided love and jealousy. 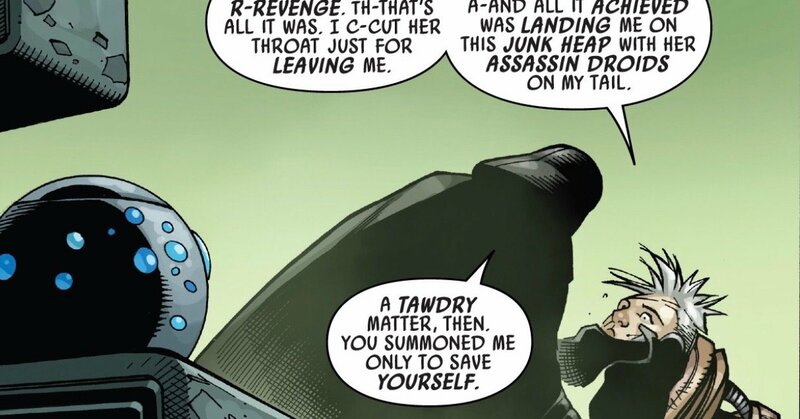 Aphra feels pretty awful that she's given Tolvan this psychological burden to bear, not to mention the revelation under the thumb of Darth Vader. Tam Posla has returned, with Aphra's shape-shifting friend Lopset. Posla is not happy that Aphra tried to trick him with Lopset having transformed into Dr. Cornelius Evazan. Posla is determined to take down Evazan, but first he's going to finish avenging his deceased partner with Aphra. The vigilante for justice is going to have a problem with that, because there is still a psychotic droid wandering Accresker Jail who has unfinished business with Aphra as well. Unfinished business that only he will finish in his way. Triple-Zero has arrived in his nightmarish new form. We saw the claws in the last issue, but this time we get to see him use them. Posla didn't fare well against them and Lopset just took off running. Triple-Zero has become quite fascinated with Doctor Aphra and is not willing to let her get away. Whatever terrible designs he has for her future, the droid is quite pre-occupied with whatever Aphra is into. Aprha's not too concerned with the diabolical droid at the moment, because she's still watching her love suffer at the hands of Vader. Vader is really letting Tolvan have it. He's not happy that he came all the way across the galaxy to find out his would-be victim was killed by a scorned lover. Tolvan's performance is convincing because she really believes it. Still, Aphra is watching the whole thing unfold and can't do anything to help. She knows that she won't be the one to beat Vader and the best option is to escape. Vader eventually realizes Tolvan knows his plan, but not how much. He's done interrogating her on Accresker Jail, so he fits her with a muzzle and brings her to his shuttle. The Imperial officers are informed they are in no way permitted to communicate with her, muzzle or not. As they are preparing to board the shuttle, Vader senses something. 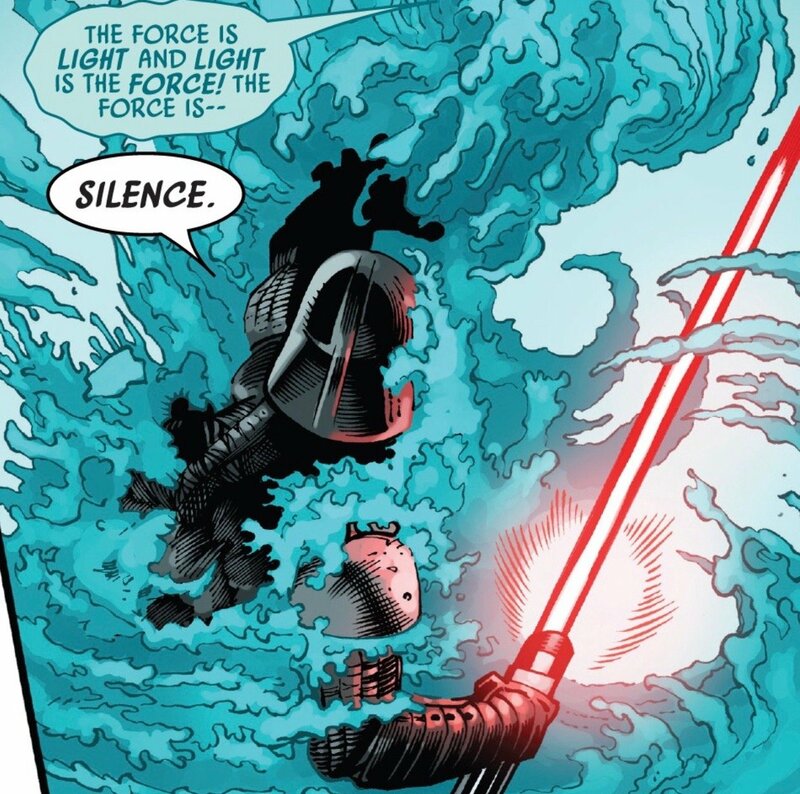 Now, we all know Vader's a sucker for a good Force-artifact or presence. The remains of an ancient Jedi that's been consumed by a mysterious spore cloud would rank in that category, I assume. The Hookspore Swarm has caught Vader's attention and he's going to investigate. It didn't dawn on me until now how many parallels there are for Vader and Luke in these comics when the Force presents itself. They never turn away and always follow it – for better or worse. Vader's got a little more solid knowledge, but he always wants to learn more. Makes me think he was looking for any advantage he could get against Darth Sidious. As Vader disappears into the depths of Accresker Jail, Tolvan tries hard to warn the Imperial officers. Warn them of what, you say? 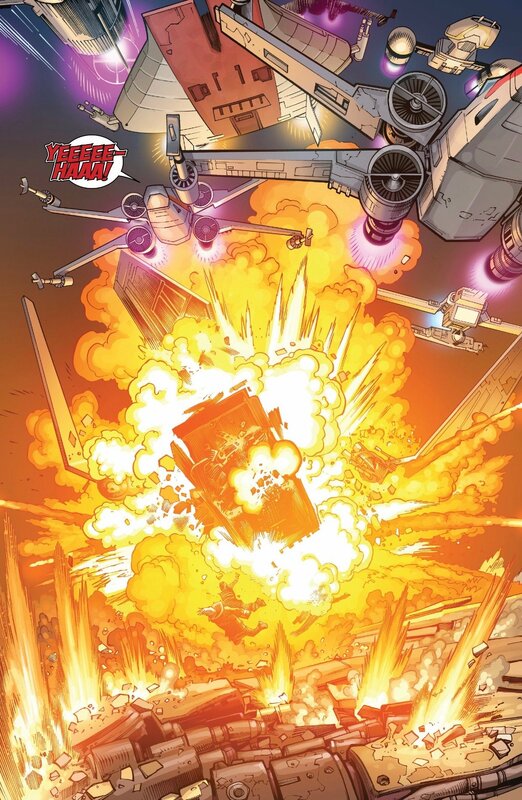 A Rebel attack on Accresker Jail, no doubt to protect the planet who has shown them some loyalty. In the squad is Sana Starros herself, who is under the command of General Hera Syndulla. 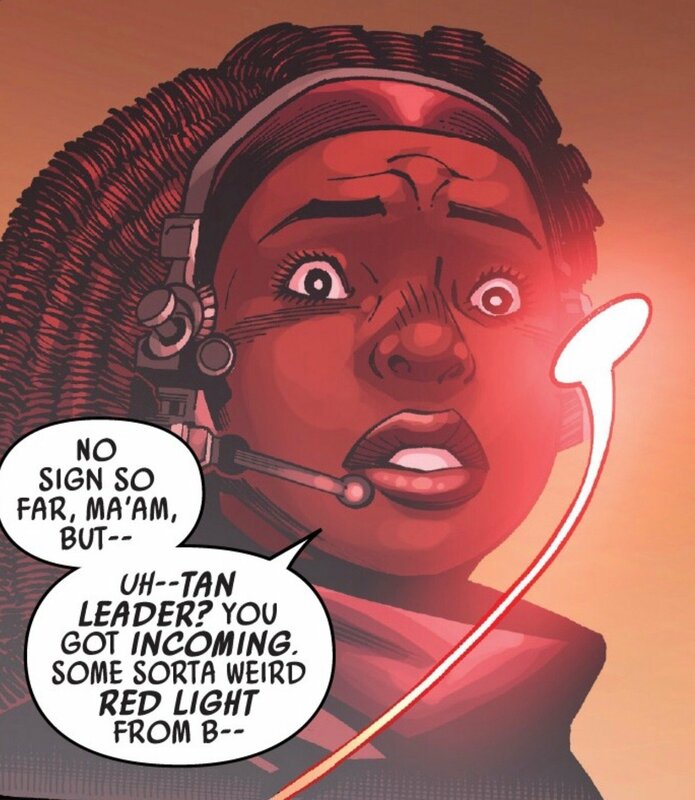 No, we don't get to see Hera fly here, but she's very much running the show through Sana's headset. 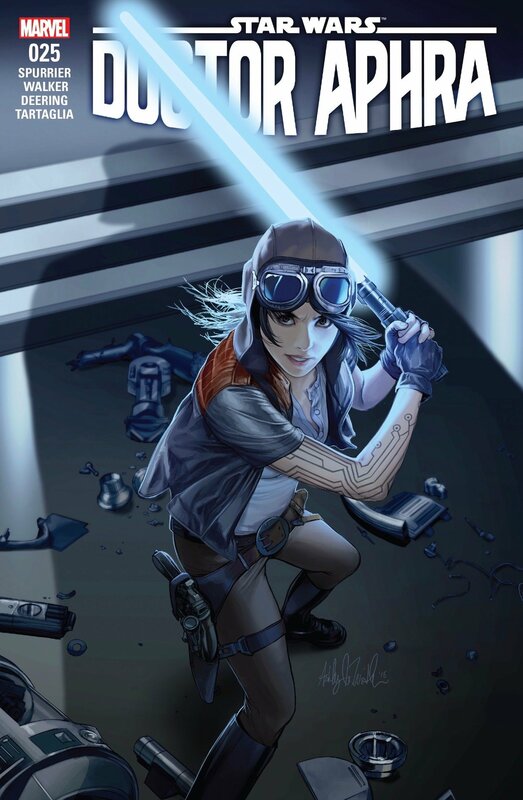 In case you haven't noticed, the artwork in Doctor Aphra has been getting better with each issue. Writer Simon Spurrier packed a lot into this issue. Artists Kev Walker, Marc Deering, and Java Tartaglia certainly rose to the occasion to bring this issue to life. It's quite dynamic, especially compared to some of the other dimmer issues of this arc. The art has not been consistent for a good part of Doctor Aphra's run, so I'm happy to see that the last few issues have been solid. They've come back for Aphra, realizing the value she might have in information about the Empire. If that red glare in Sana's blast shield looks like it's a familiar hue, that's because it's Vader's lightsaber. Yes, Darth Vader is taking out Rebel ships by flinging his lightsaber through space like a boomerang. Hera tells them to get away from Accresker Jail as fast as they can when she finds out Vader is there. She references the massacre at Vader's hands from the Marvel Vader Down event (which I highly recommend). Just as Vader brings down a few X-wings, the Hookspore Swarm comes to him. Since the spores have learned of the light side of the Force, they intend to overwhelm the darkness in Vader. He holds the swarm back with his powers and declares they are nothing more than an echo. With the literal snap of a finger, Vader crushes the spores and walks away annoyed he wasted time at Accresker Jail. He sends for his shuttle and returns to the Executor. 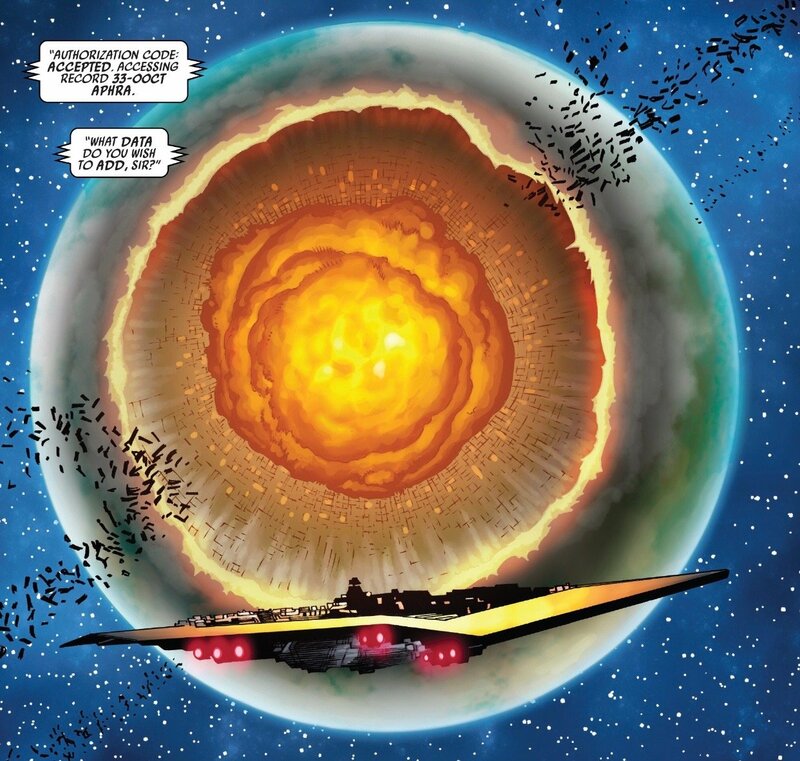 Vader's first shuttle was destroyed in the Rebel attack and in a very uncharacteristic move, Vader returns to his ship without confirming Tolvan's been killed. Lucky for her, Sana and the Rebels decided to search what was left of Accresker Jail. Looks like the Rebel Alliance just snagged themselves a valuable asset. Not sure where in the timeline this takes place with the titular series, but we know after 'Hope Dies' that the Rebels need all the help they can get. I'm excited to see Tolvan and Hera meet. Also, I'm happy the Rebels haven't given up on Aphra, and the addition of Tolvan will only increase the chance they look for her again. 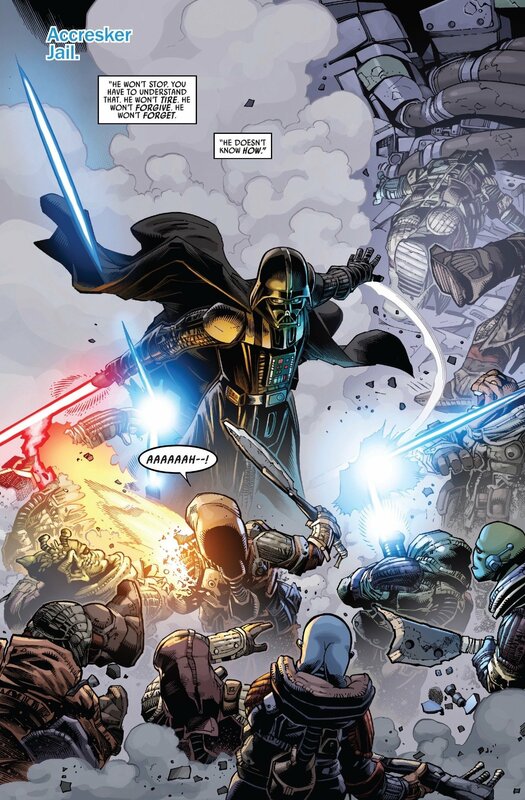 I guess loose ends didn't matter too much to Vader, as he let Accresker Jail slam into the surface. Like most Imperial operations the Dark Lord has a hand in, this one ends in a fireball of death. All the millions of lives that just went up in smoke so Vader could cover his tracks. Makes me think that atrocities like these gave just as much strength to the rebel spirit as they did despair in defeat. 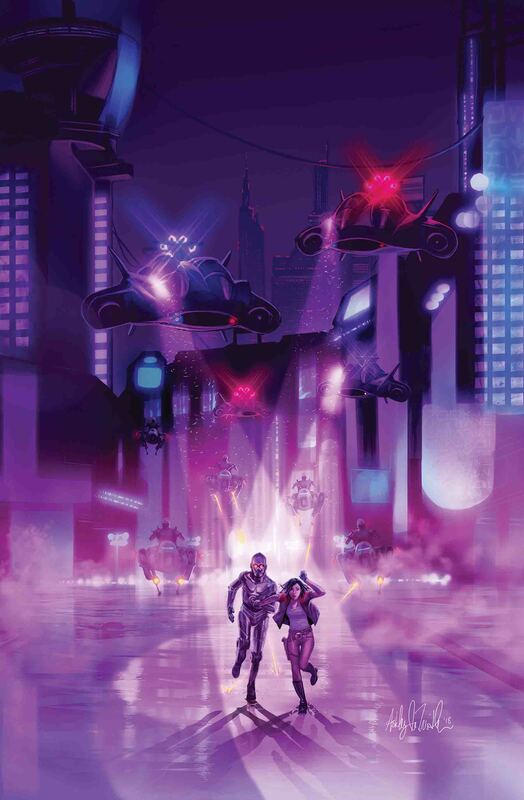 Just before the jail crashed, Lopset stunned both Aphra and Triple-Zero into unconsciousness. 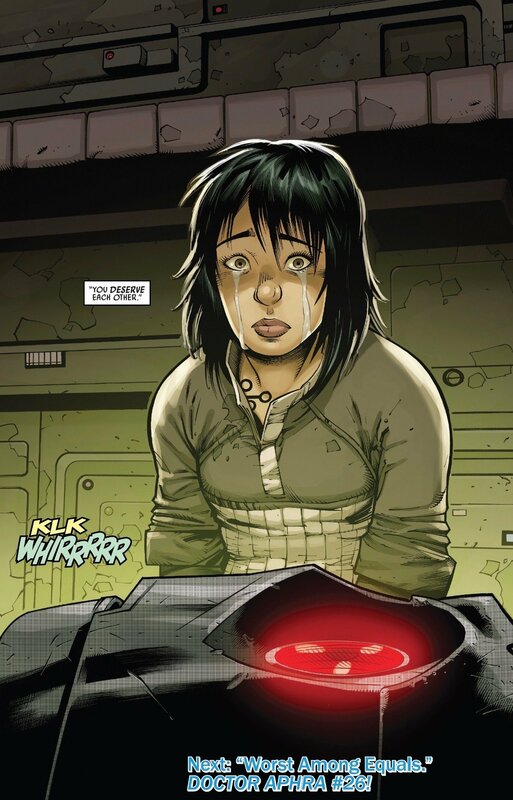 Aphra wakes up to a terrible sight. Lopset was not a shape-shifter, he was actually Doctor Cornelius Evazan who wore a rare organism as a mask. Lopset's trick of shape-shifting in an earlier issue was simply to take off his mask. Posla actually had Evazan! And now, Posla's dead and Aphra is at the mercy of the butcher. Aphra is not the only one who will suffer Evazan's sadistic whims, Triple-Zero is along for the ride as well. Evazan assures her he's just as fascinated with Triple-Zero's immoral disposition as he is with her. In fact, he's taken the liberty of implanting an explosive charge in each of them. This particular charge will detonate if: a) either of them dies; or, b) if they are more than twenty-meters apart. Why is Evazan doing this? For his own amusement. He has hacked into Triple-Zero and will be able to watch the rest of the droid and Aphra's presumably short existence. Looks like I won't get my wish of Triple-Zero falling by Vader's saber, but I'm intrigued about where this set-up is going. Will they do Evazan's bidding? What perils could await Aphra and the psycho droid? Wow! Dark days ahead for Aphra. I loved this issue. It's very impressive Simon Spurrier can wrap up so many storylines while still managing to set-up the next arc. I do wish we'd learned a bit more about the ancient Jedi (we did learn it's 1,000-year-old skeleton...so that's Old Republic), but overall I think 'Accresker Jail' was a solid arc. One of my favorite Aphra issues, to be sure. Bring on 'Worst Among Equals'! I wish she lives long enough to make her appearance in live action movie or animation. Actually I like where and how Aphra's arc goes - this is the only (?) story among all the main (familiar) story lines which is great (even more than some main ones) in GFFA.